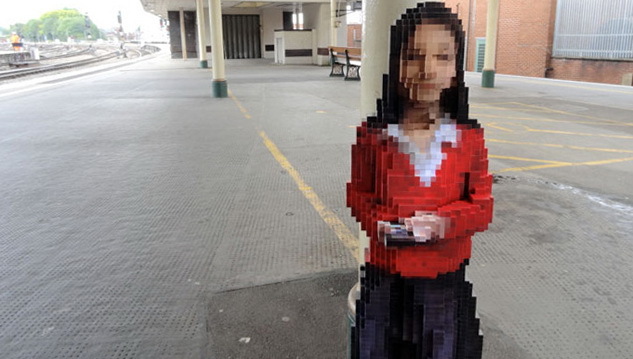 Maya is a sculpture which acts as a three-dimensional pixilated portrait. 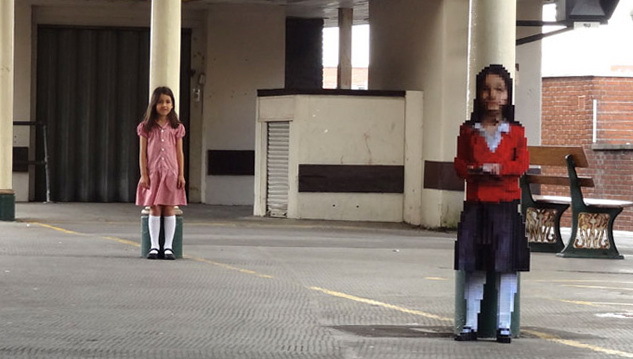 As with a heavily pixelated two dimensional image made of squares, from a distance the sculptures can be easily read. 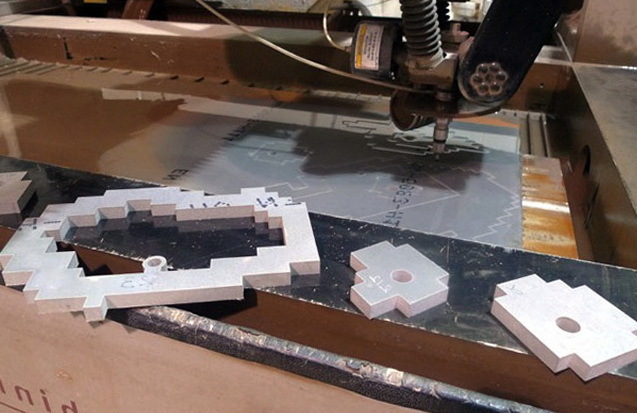 As the viewer gets closer the object appears to fragment into cubes. This project has stemmed from Jerram’s ongoing research of visual perception and optical illusions. The fact that he is colourblind has given him a natural interest in exploring “the edges of perception”.